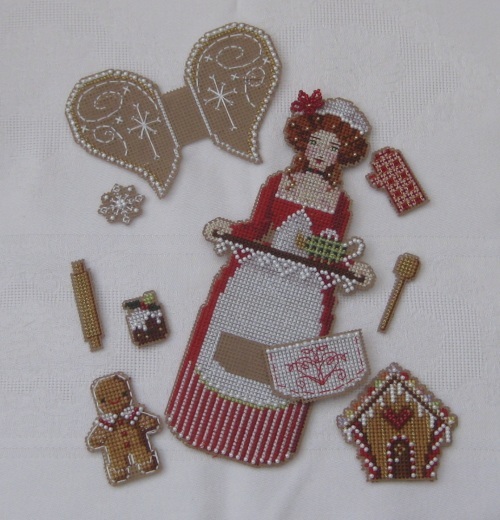 I was determined to get this Spirit of Holiday Baking 3D figure from Brookes Books finished in time to display for Christmas (THIS Christmas, I mean! ), and I’ve just about managed it. 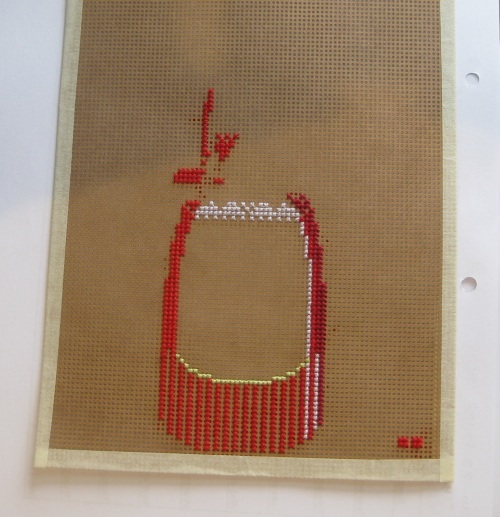 This is the second half sheet of perforated paper with the ‘accessories’ and wings for the angel cross stitched, back stitched, and all the beads sewn on. Then comes the scary bit! 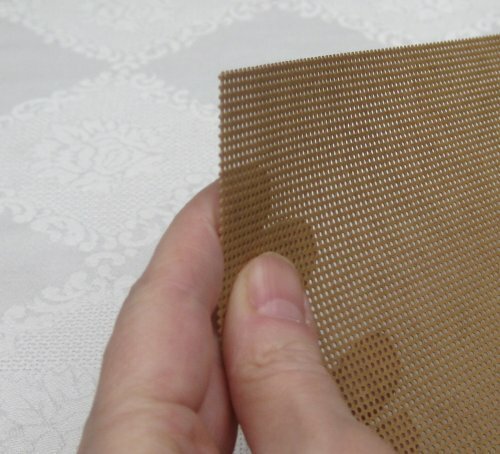 You have to cut each piece out, one row of holes away from the stitching, all the way round. This is where you realise that it’s very important, if there is a part of the design where there is a ‘sharp angle’, that you didn’t take the thread across the back across the unstitched gap – because then, when you get to this stage, you’d be cutting through that long thread, and making your design unravel! These are all the pieces, ready to assemble with glue dots and a few judicious stitches in a matching thread to hold everything together. 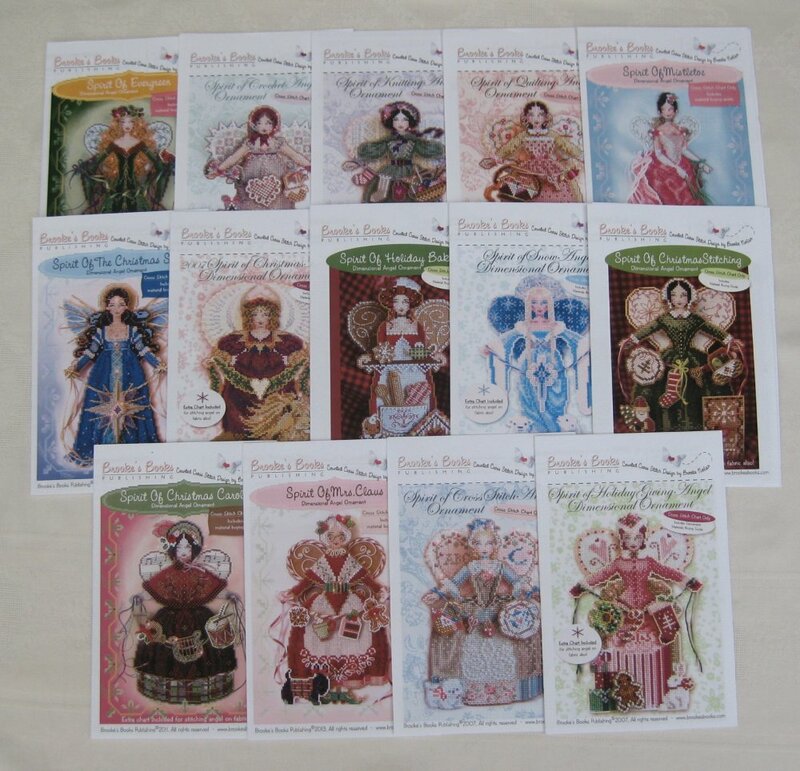 This reminds me of those paper dolls that I had when I was little, with the little tabs on the edges so that you could ‘hang’ different items on the main doll to make different outfits. Assembled!! Didn’t take long, as glue dots don’t need time to dry, unlike tacky glue, which can get a bit messy. From this angle, you can see that the beads really add interest. 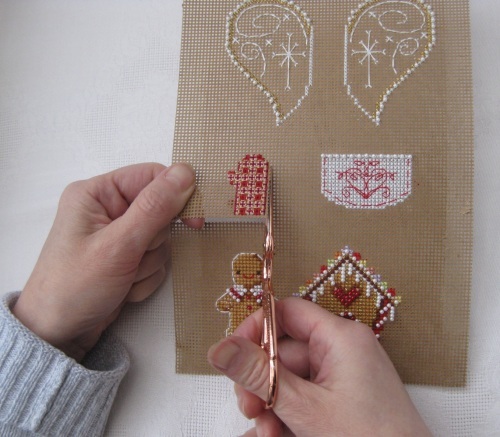 The layering of the pieces is a simple idea, but really clever, and adds to the cuteness of this project. Isn’t she lovely? I’ll definitely be making more from this series, as I have a bundle of over a dozen chart packs for these ‘angels’. I find they are really good projects to take when I’m travelling, as they don’t need to be done in a hoop (in fact, they can’t be, as they are on paper), the holes in the 14 count paper are quite large, so I don’t need a magnifier, and there aren’t too many colours, so it’s easy to pick it up and put it down without getting confused about where I am in the design. Well worth having a go. 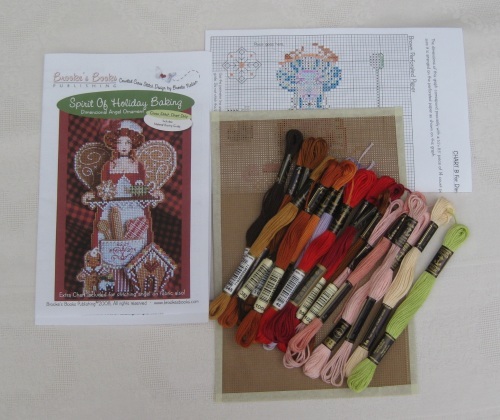 Visit Brooke’s Etsy shop if you’d like to buy any of her lovely chart packs. 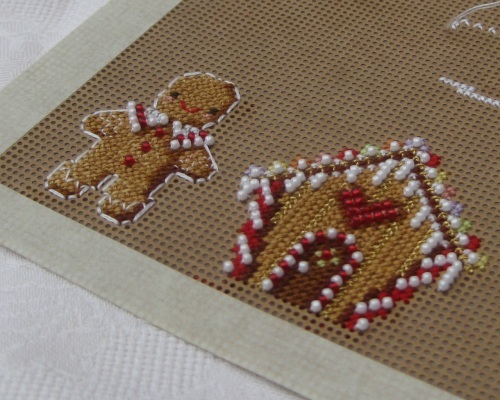 I’m trying to get this quick cross stitch project called ‘The Spirit of Holiday Baking’ by Brookes Books stitched in time for Christmas, as I want to display it along with the gingerbread village buildings from Victoria Sampler that I’ve made before (not that they’re in the same kind of scale, but I just like gingerbread things!). 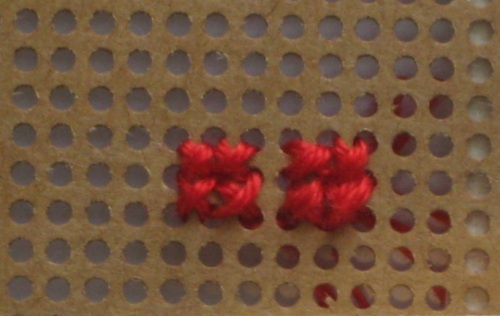 The design itself is quite simple, but deceptively so – the shading is good, considering there aren’t a huge number of thread colours in the design. But the area to be stitched (in a couple of weeks. Yikes!) 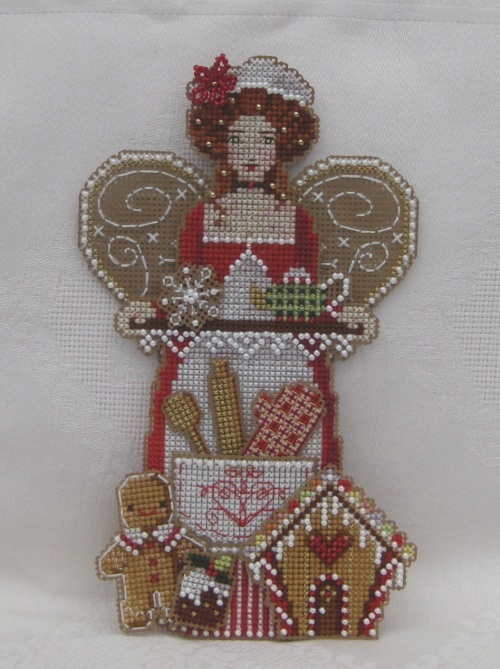 just for the main ‘angel’ is about three inches by eight, on 14 count perforated paper, and I’m really busy with posting out Christmas orders of my embroidery kits at this time of year, so I haven’t got much ‘free time’ for stitching. 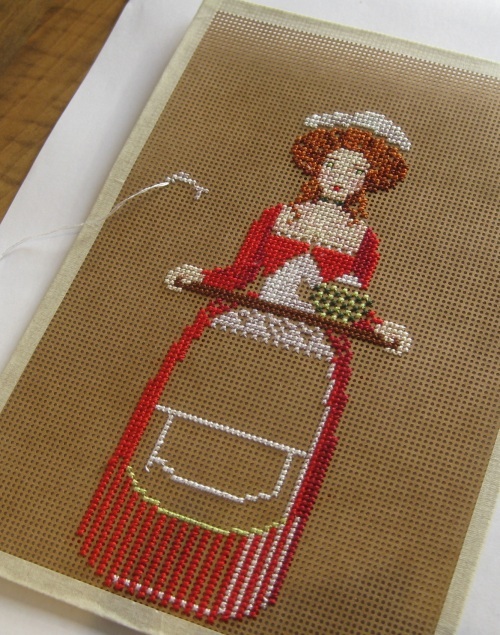 But whenever I get a minute, I put a few stitches in, and it’s growing…. There are two main sheets of designs. One is the angel herself, with a few ‘accessories’ on the spare paper around her (which will be cut out later and assembled into one piece). 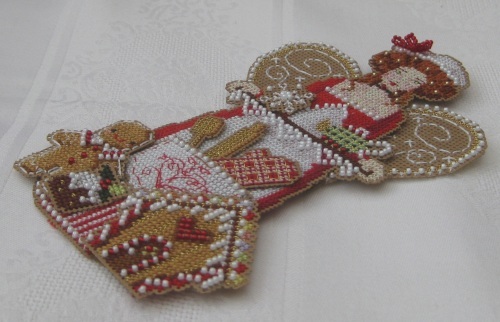 I’ve finished that bit now – adding the beads really makes it look special. 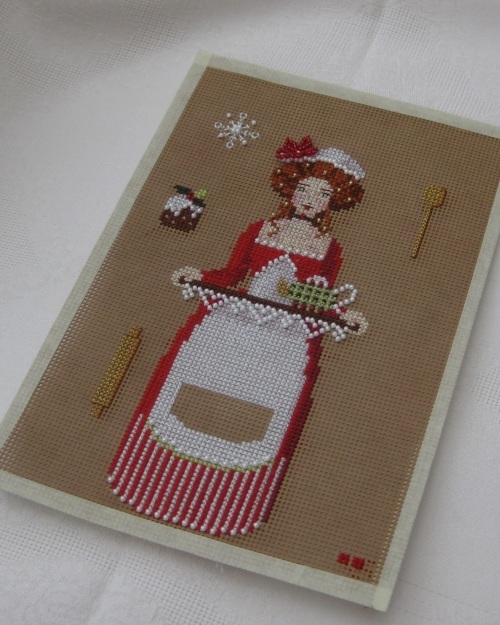 The bare patch on the front of her apron is for a pocket to be appliqued later. She has a cute beaded flower on her hat. 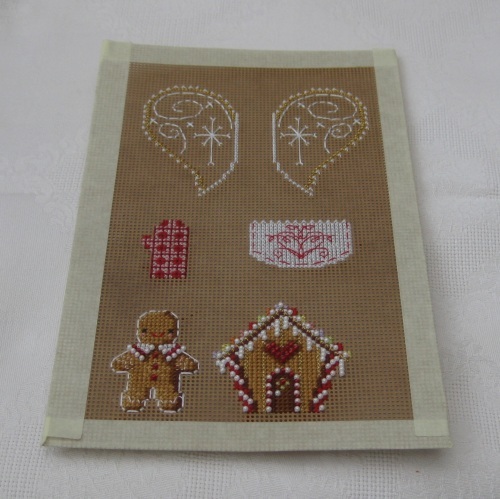 Now I’m doing the second sheet, which is for little gingerbread pieces, and the angels wings. Aren’t these looking great? I’ve just got the wings to complete, then I can start to put it all together, so it should actually be finished in time for Christmas.